Palermo from above, Palermo from below, Palermo and its mysteries are finally ready to be uncovered: Le Vie dei Tesori is back! From October 5th to November 4th the enchanting Palermo opens the doors of over 100 monuments with 34 never open spaces and itineraries for children, visits and tastings. 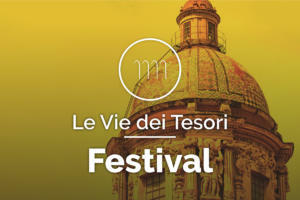 Palermo Vie dei Tesori is one of the most famous Italian festivals which aim is to promote the cultural, monumental and artistic heritage of the city. If you don’t want to miss Le Vie dei Tesori 2018, just take a look at our holiday apartments in Sicily near city centre selection and be just a few steps away from the places you’ll choose to visit! This year the Festival reach its 12th edition, and it was born and developed in Palermo, the 2018 italian Capital of Culture. Over 100 places of artistic, historical and monumental interest are finally open to guided tours, with 110 urban walks, visits, food and wine tours. The Festival is a great opportunity to discover new and unpublished sides of Palermo and places never seen before: Palermo and its nature, among secular trees and tropical species, Palermo of Belle Epoque, with its majestic villas and ancient palaces, Arab-Norman Palermo and its stunning UNESCO World Heritage Sites among theatres and historical archives. Among the places opened for the first time during this edition of Vie dei Tesori in Palermo there are the prison of Ucciardone, the Boccadifalco airport – former military airport of Palermo wanted by the Florio dynasty and among the oldest in Italy – almost all the old Norman residences such as la Zisa, la Cuba and the Gardens of Villa Napoli, the Castle of Maredolce, the ancient Arab fortification of Castello a Mare, the home of Father Pino Puglisi in Brancaccio, hidden churches, ancient buildings and factories. It’s really impossible to describe and list all the churches, oratories, small chapels and crypts because the already long list includes the unknown church of Santa Venera alla Kalsa, the baroque church of the Three Kings, the baroque jewel of Madonna della Mercede at the Capo street market and the church of Santa Caterina. 5 weekends to visit 130 gorgeous jewels of this city’s glorius past. In addection to the classic city tours, contemporary itineraries through art galleries and special events, paths and activities designed for children with the Kids Festival entirely dedicated to families and children that you can easily join booking one of our beautiful Family Villas in Sicily! Moreover, tastings and special dinners organized by Planeta in 5 super exclusive locations. You do not need to book a visit specifically. Just buy the coupon for the number of visits you want to join on www.leviedeitesori.it and present yourself at the entrance. A 10 euro coupon is valid for 10 visits, among all the ones available. A 5 euro coupon is valid for 4 visits of your choice; 2 euro coupons grant you a single entry. You can also ask further information sending an email to prenotazioni@leviedeitesori.it.